The family of Joe McDonough and AFT 1493 are delighted to announce the first recipient of the Joe McDonough AFT Social Justice Scholarship. This annual award of $5,000 is for a fulltime student engaged in a campus or community organization working for social justice. Skyline student Leitu Takapu (in photo at left) is the winner for the 2015-2016 school year. 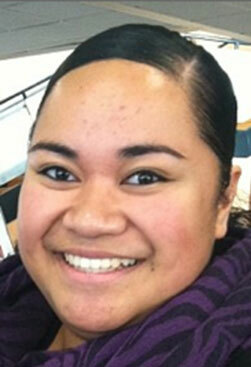 After reading more than 70 applications, the selection committee unanimously agreed on Ms. Takapu. Ms. Takapu’s opening words were, “Success can be defined in many ways. For me, being successful is … about having and making a positive impact on the lives of other people and giving back to our community.” With the goal of becoming a social worker, she plans to get her AA in Interdisciplinary Studies of Social Behavior and a Certificate in Early Childhood Education. Congratulations to Leitu Takapu. This scholarship is for a fulltime student who is engaged in the community and/or volunteer service. Students must have a declared major, demonstrated financial need and a minimum 3.0 GPA for consideration. Applicants must demonstrate participation in efforts to achieve a just and fair society for all. AFT Local 1493’s scholarship selection committee (AFT 1493 President Teeka James and Executive Secretary Dan Kaplan) is happy to announce the winners of the third annual AFT Local 1493 scholarships. The two AFT scholarships, each in the amount of $1000, have been awarded to Cañada College students Elizabeth Sosa Cornelio (in photo below left) and Rita Melgar Martinez (in photo below right). Elizabeth came to the U.S. from Mexico at the age of 15 to reunite with her mother and to attend high school. In addition to taking classes at Cañada, she works 20 hours per week to support her family. 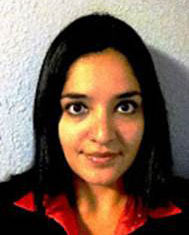 She is a math tutor in the STEM Center, and she is a Student Learning Assistant Mentor in the ESL Department. She also volunteers with a non-profit that focuses on teaching English as a second language to immigrants. 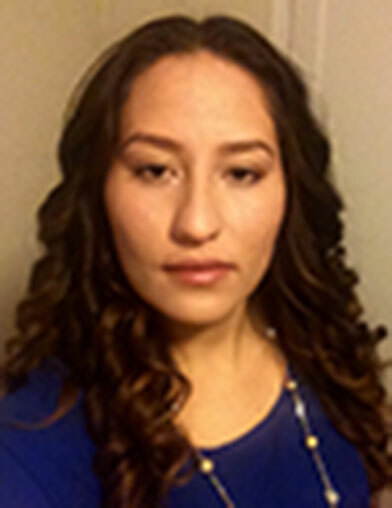 Elizabeth is now pursuing an AA in Spanish and an AA in Latin American Studies. She wants to eventually earn a B.A. in International Business. Rita came to the U.S. from El Salvador in 2007 with her daughter to be reunited with her mother “and to search for my own American Dream.” Rita says that the two words that describe her well are perseverance and steadfastness. Thus far at Cañada she has obtained an A.S. in Network Engineering, a membership in the International Honors Society, Phi Theta Kappa, and the Dean’s List. Rita has also participated in the MESA Cisco Shadowing/Mentoring Program, and the MESA Student Leadership Retreat, and in the Chicana Latina Foundation Leadership Institute. AFT Local 1493 offers its congratulations to Elizabeth Cornelio and Rita Martinez, and wishes them both continuing success as they continue their pursuit of higher education.